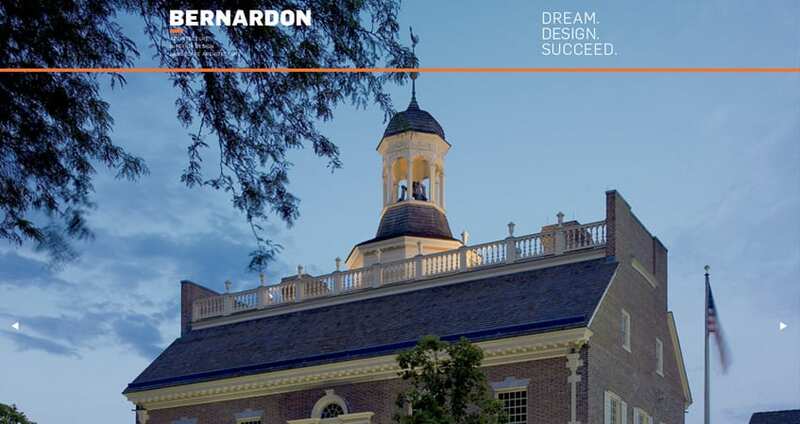 Working in partnership with another design firm, Brand Llama helped execute a new website for the established architecture firm, Bernardon. 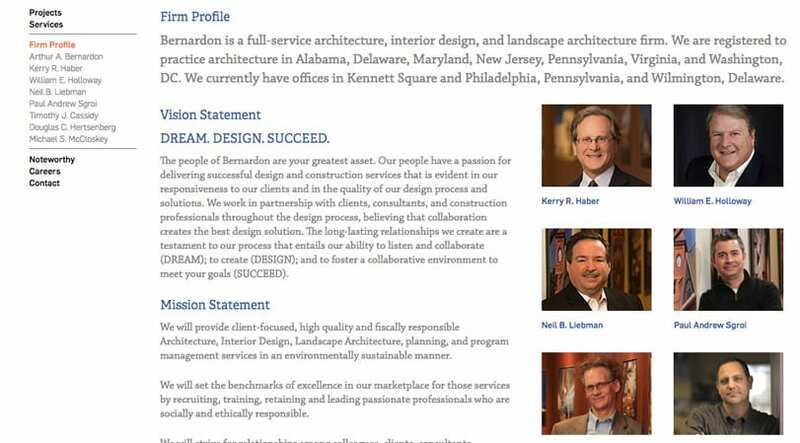 The design created by a renowned designer in the Philadelphia design community was converted into a functioning website with significant attention to design detail and typography. Beautiful project photography compliments the grid structure and presented the firm with a polished, professional style. 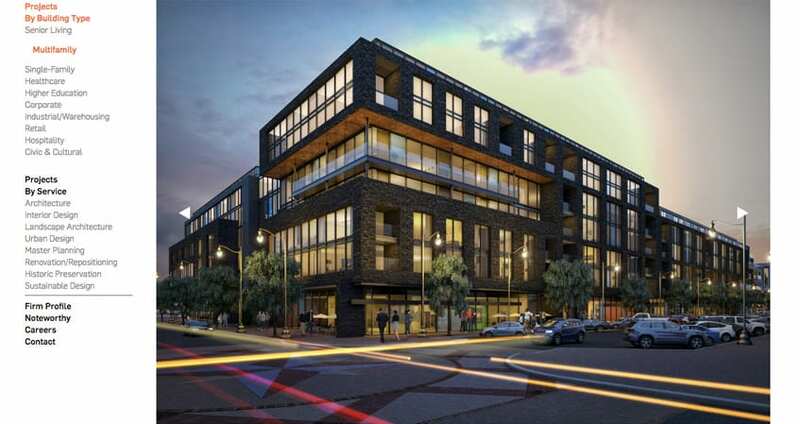 Construction of site focused on design aesthetics and recreating the unique design as accurately as possible. Exacting execution was brought to bare to create unique menu structures, smart project galleries, and provide full maintenance capabilities to the architecture firm. Focusing on two ways to view projects was essential, and allows visitors to choose a path that speaks to their understanding of their project, and within terms and contexts within architecture design that they identify. Showcasing power project photograph coupled with clean typography and a smart grid layout, made the project profiles impactful and easy to understand. 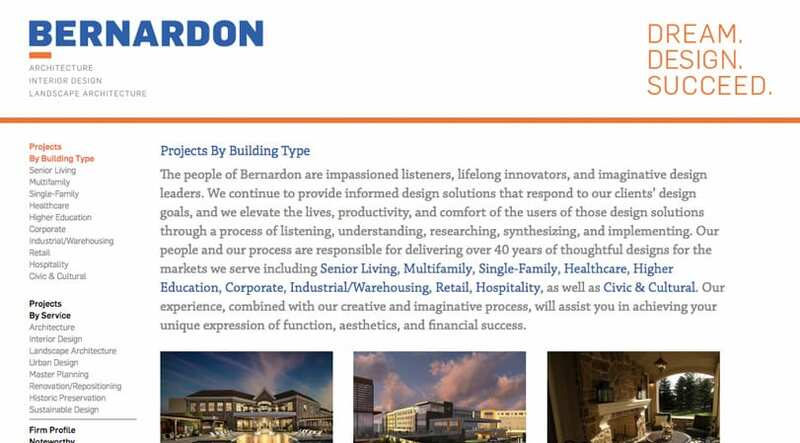 Expressing the capabilities and experience of Bernardon extended beyond just project images. Biographies of key firm leadership and an overview of the full company capabilities became essential.